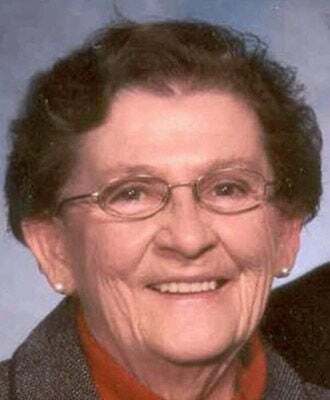 Georgia Malaktaris, 83, Minot, passed away July 5, 2018, in a Minot nursing home. A Trisagion service will be held at 5 p.m. Wednesday, July 11, at Thompson Larson Funeral Home Chapel, Minot. Visitation will be held from 3 to 5 p.m. today at Thompson Larson Funeral Home. An Orthodox Rite of Liturgy will be held at 10:30 a.m. Thursday at St. Peter the Aleut Orthodox Church, Minot. Burial will be held at Rosehill Memorial Park, Minot. Georgia Alex was born on Oct. 13, 1934, the daughter of James and Gladys (Torkelson) Alex, in Rochester, Minn. She was raised and educated in Rochester, graduating in 1952 from Rochester High School. On Apr. 12, 1953, Georgia was united in marriage to George Malaktaris in a Greek Orthodox Ceremony in Rochester. They made their home in Mason City, Iowa, then Fort Smith, Alaska, and Manhattan, Kan., where George was stationed in the U.S. Army. Following his discharge, the family lived in Mason City and Rochester, where she was employed by Mayo Clinic, and then moved to Minot, where Georgia worked at a dental office for a time, prior to beginning her career at Minot Public Schools. After retiring, she helped her daughter, Jami, with her home daycare. She enjoyed quilting, sewing, reading, working with animals alongside George, and most importantly spending time with her family. Georgia was a loving wife, mother, grandmother, great-grandmother, sister and friend and will be missed by all that knew her. She is survived by her husband of 65 years, George, Minot; four children, Maria (Greg) Carpenter, Minot, Jami (Robert) Thom, Minot, Anthony “Tony” (Ruth) Malaktaris, Bismarck, and Arita “Rita” (Craig) Golden, Sergeant Bluff, Iowa; one brother, Leo Alex, Oneonta, N.Y.; 13 grandchildren; 22 great-grandchildren; her beloved cat, Samuel Adams; along with several cousins. Georgia was preceded in death by her parents; and an infant sister. In Lieu of flowers, memorials may be given to the St. Peter the Aleut Orthodox Church, Minot.